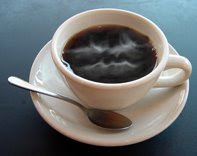 The Coffee Curmudgeon: dreams, or "i have a feeling there's something wrong with me"
dreams, or "i have a feeling there's something wrong with me"
What exactly is the point of waking up to find that you have just been dreaming about a subject you swore you would not think of again? How do you move on with life if your subconsciousness continually reminds you of what you are missing out on, even if that something is absolutely out of your reach? Why do we insist on revisiting that which should be left alone? An inherent desire to cause ourselves suffering? Is it really the thrill of the chase if the chase has long ended? All my mind needed was a simple, offhand reminder, and I feel like my morning has taken me back in time to when the wounds were fresh. One step forward, two steps back, as they say. Back to playing Copeland on repeat, and staring at the wall.